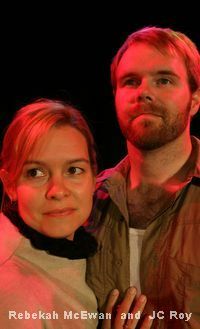 Ryan Mooney's directorial skills together with the creative set and lighting design of Matthew Davenport have catapulted the White Rock Players from amateurs to professionals. Not only was the directing powerful, I tip my hat to the actors who, if Arthur Miller were alive, would have felt exhilarated with this production. JC Roy who played the main protagonist, John Proctor, was all smiles during curtain call, receiving enthusiastic applauses in the October 12th performance. Rebekah McEwan as Elizabeth Ptoctor, his wife, was perfectly cast for the role as the demure and principled wife. 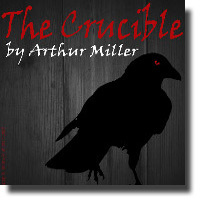 Rebecca Strom as Abigail Williams Julie Casselman as Mary Warren played their parts convincingly as the suspected witches. This play was inspired when Miller and his colleagues were suspected of being communists, and were brought to hearings during the McArthy era in the early 1950s. The jail set ambience with the iron curtain (figuratively and literally) coming up and down between scenes and the frightening sounds of drums in the background enhancing the witch hunts was quite inovative. Kudos to White Rock Players under the leadership of President Angie Koropatnisky and Vice President Katherine Stadel and all the volunteers who have contributed to the success of this production and for bringing a fresh start to this new season of plays.